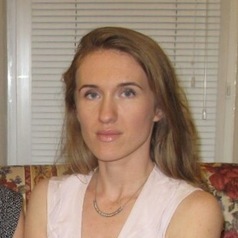 Dr Polina Obolenskaya is a Research Officer at the Centre for Analysis of Social Exclusion (CASE), London School of Economics and Political Science. She joined CASE in January 2012, having previously worked at the Institute of Education (UCL). Polina’s research interests are in the areas of child poverty and disadvantage and also the impacts of social policies on the distribution of poverty and inequality. Following her work on the Social Policy in a Cold Climate programme at CASE, tracking policy, spending and outcomes under recession and austerity, she co-authored a number of research reports and working papers, as well as several chapters in the book that followed. Her contributions were in the areas of healthcare, social care, education, and economic and spatial inequalities. She is currently working on a two-year project that aims to improve understanding of multidimensional poverty and disadvantage as experienced by vulnerable children and young people in Britain.